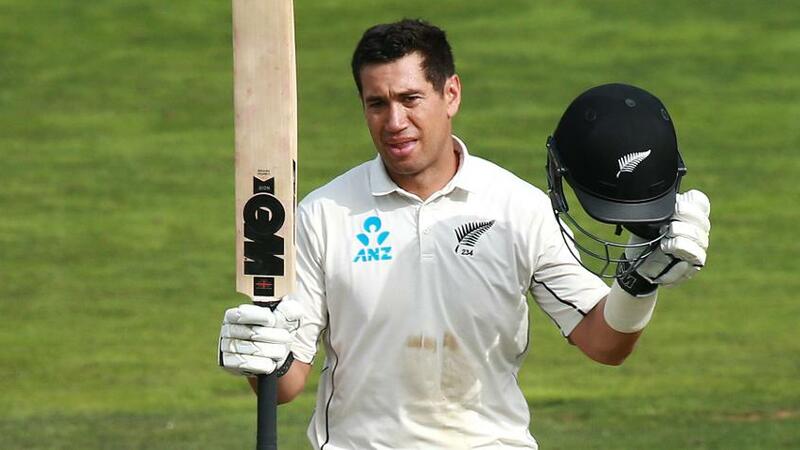 Ross Taylor, the New Zealand veteran, scored the third double-century of his career on the fourth day of the second Test against Bangladesh in Wellington. It was a superlative effort from Taylor, who came to the middle after New Zealand lost their openers with just eight runs on the board. He first stitched a 172-run partnership with skipper Kane Williamson, and then added 216 with Henry Nicholls to help take the first-innings total to 432/6 declared. "If you'd told me that at the start of the day, especially how the first 10 overs went, I would have said you were kidding," Taylor said after play on Monday, 11 March. "We wanted to be positive because we always knew there was a ball with your name on it. They bowled really well in the first six-seven overs, Kane and I were jumping around a bit. They bowled in the channel and put us under pressure, but we knew they had only three front-line seamers, and if we could get through that, things would get easier. "We knew it was a three-day Test and had to be proactive. Try and get as many runs, even if it was a 100-run lead just to speed up the game. It was on our mind and that's how we played. Nicholls came out and played his shots, made it easier." It was the 18th three-digit score of Taylor's Test career, a monumental knock that helped him leapfrog Martin Crowe to No.2 among those with most centuries for New Zealand. Williamson, with 20, is at the apex. Taylor admitted the record had played on his mind over the last 12 months, and that it had made things difficult for him. "Seventeen was such a big number from when I started playing cricket, and once I got there it was a bit of a relief," he revealed. "Then I didn't kick on, and it was probably a little bit in my subconscious and it played on my mind. "Before this, I had a chat to our sports psych guy, Pete [Sanford], to just acknowledge it's always going to be there. It's nice to knock it off and just go out there and play." Crowe's highest Test score – 299 against Sri Lanka in Wellington – also affected Taylor during his innings against Bangladesh. He drew parallels between the two knocks and feared a heart-breaking dismissal. "There was a stage out there where I thought 'Hogan got 299, I might get 199'. It was nice to get past that," he said candidly. "I've always loved playing at the Basin, it was nice for family and friends to be here as well."